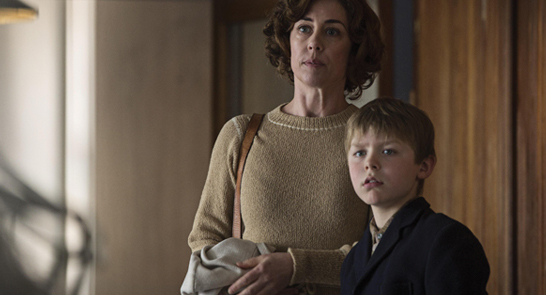 With a screenplay by the creator of The Killing, The Day Will Come is a chilling portrayal of a dark piece of Danish history, starring Sofie Gråbøl. The year is 1967, and a blooming youth culture is on the rise. In a working-class neighborhood of Copenhagen, two inseparable brothers, Elmer and Erik, are removed from their ill mother and put in the Gudbjerg Home for Boys, a place frozen in time. Here, Headmaster Heck practices his own brand of philosophy and regulation. Unruly boys are transformed into obedient citizens at any cost. From their very first day, the boys understand that their freedom is lost and a daily struggle for survival has begun. The boys try to live under the radar, but Elmer’s vivid astronaut dreams and clubfoot constantly gets him in trouble. The brothers realise they are on their own and a simmering revolt slowly forms. Armed only with a vivid imagination and a fickle hope the boys engage in the frightening battle against Headmaster Heck and his lethal tyranny.